Attention, comic book fans! 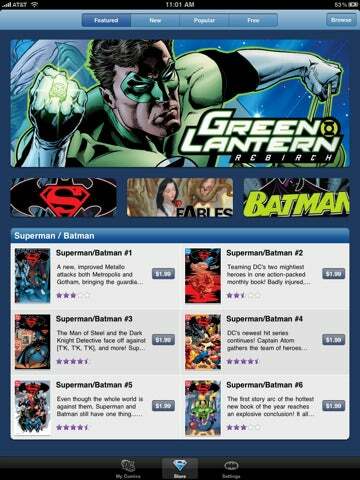 DC Comics has just released its free app for the iPad and iPhone, and it looks pretty slick. It's basically a storefront and reader for DC books built on Comixology's system, with weekly additions, charts and free offerings as well. Obviously, the art looks a lot better on the iPad's bigger screen, but you can presumably load the same comics up on both devices to continue reading when you're on the go.